Analysis of the XFL, what factors led to if failing? American football has surpassed baseball in recent years as "America's past time." It has become part of everyday life, with the NFL surpassing three billion dollars in revenue per year, more than one billion more than its closest competitor. It is thought of as gritty, physical, and all around fun just as most Americans like to be thought of. For decades the NFL has dominated the world of football, but despite all of this, it has come under attack in recent years because of the increasing mediocrity, cost to attend games, skyrocketing player and coaches salaries, squabbling owners, and lack of loyalty by players to their respective teams. 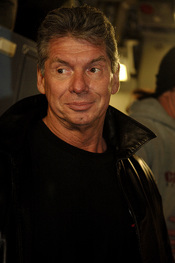 With this, Vince McMahon, the founder of the WWF, saw an opportunity and took charge to introduce a new and controversial professional football league called the XFL. WriteWork contributors. "XFL - Excitement or Excuse" WriteWork.com. WriteWork.com, 15 December, 2003. Web. 23 Apr. 2019.